Our extensive range of seat supports and seat wedges provide a more comfortable and supportive seat at work, home or in the car. With pressure relieving cushions to provide comfort when seated for long durations and seat wedges providing the correct alignment of the hips and a better sitting posture, our seat supports are an ideal, simple solution for increasing comfort and wellbeing. Seat supports and wedges are a lightweight, portable support making them ideal for mobile workers and hot-desk workers. 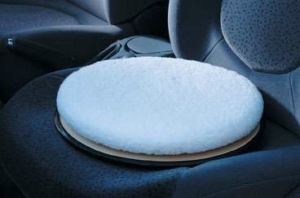 Our seat cushions and wedges can be used on any seat to improve posture and provide a better sitting comfort. Seat supports such as the sit ring and swivel seats offer a solution to individuals with specific requirements such as arthritis or post-surgery discomfort. 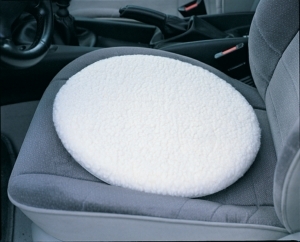 Our seat supports are available in a range of foam densities and grades of memory foam for individual comfort. By improving seated comfort, our seat supports prevent fidgeting which can lead to increased productivity. Our seat wedges create the correct alignment between the hips and the knee by rotating the pelvis - providing an improved posture. 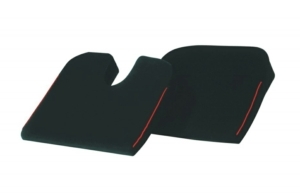 Available with memory foam for even distribution of pressure, our seat wedges also improve comfort. Order one of our seat supports & wedges online today!